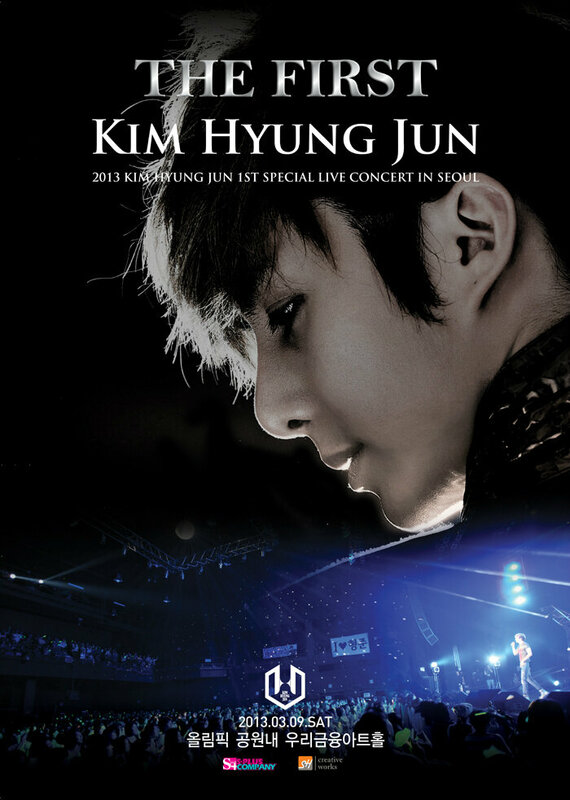 SS501’s Kim Hyung Jun will be holding his very first solo concert in Korea to commemorate his 2nd anniversary since his solo debut in 2011. Titled ‘The First’, Kim Hyung Jun’s first exclusive concert will be held at the Woori Art Hall in Seoul’s Olympic Park on March 9th. At the event, he will show various music genre and performances with a live band performance for all of his songs to have a lively-filled stage. 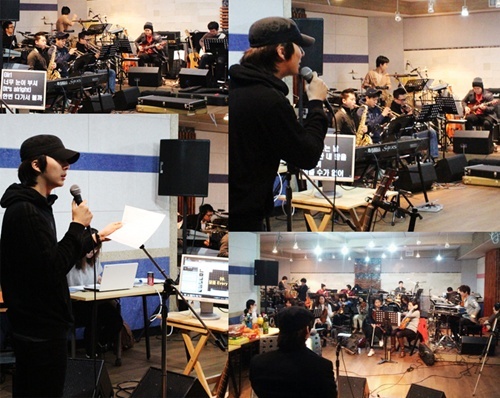 Recently, his agency uploaded photos from the singer’s practice sessions with his live band. 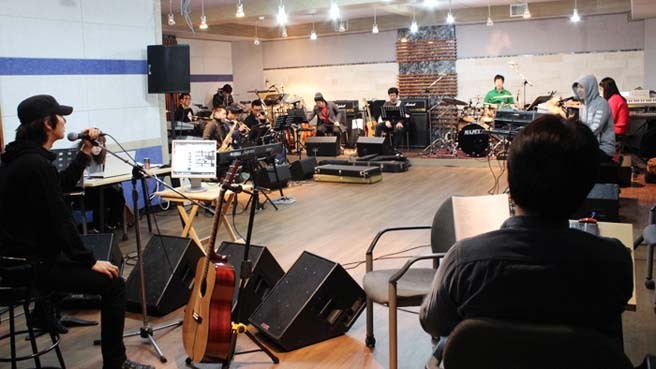 He seems to immerse himself in practicing while spearheading the orchestra as well as the band.